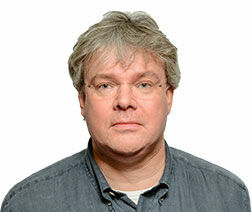 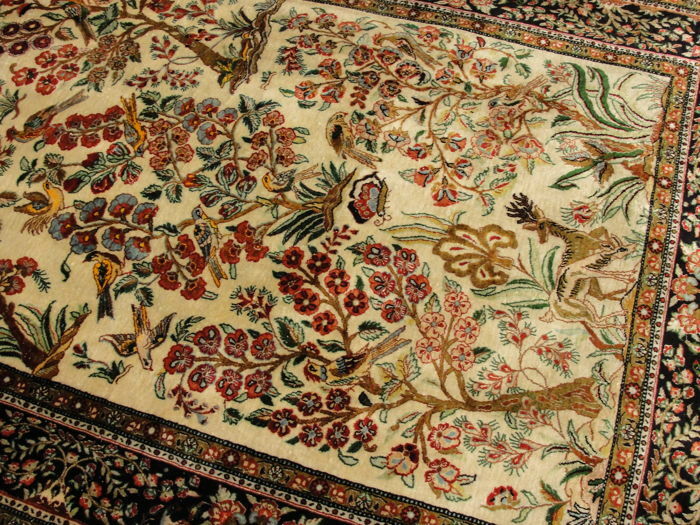 Ghom (also spelled Qum, Ghum, Qom, etc.) 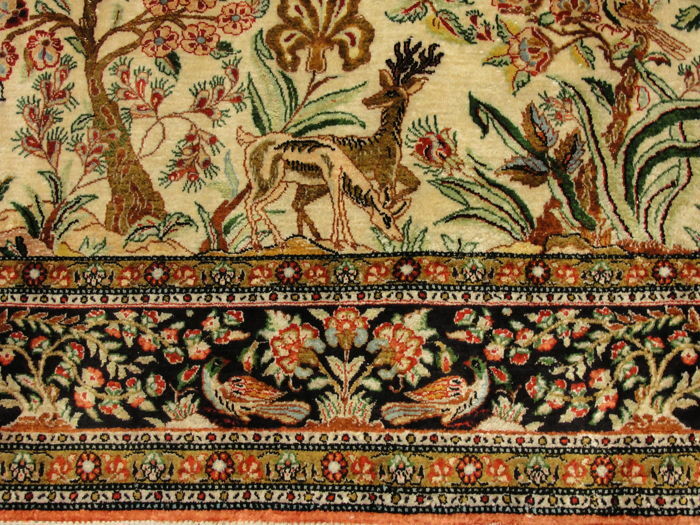 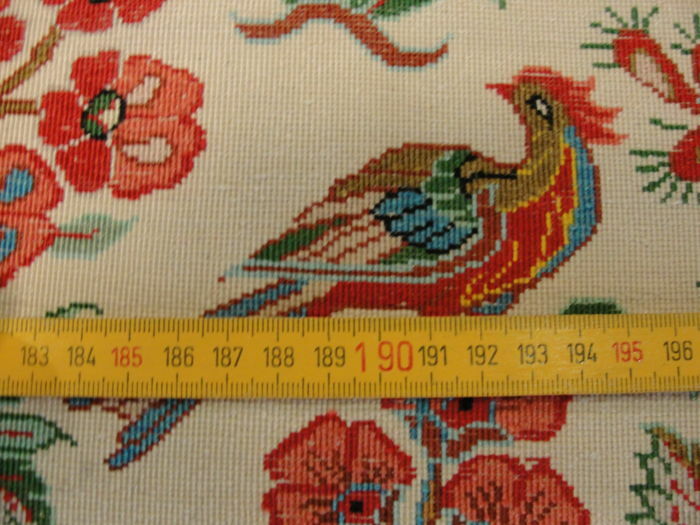 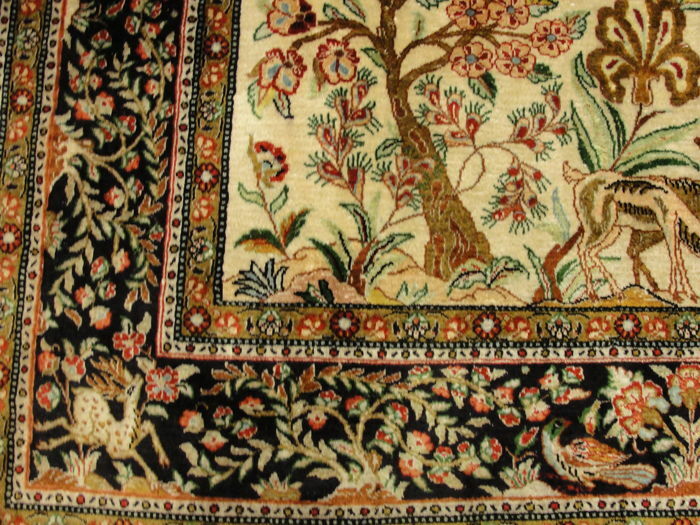 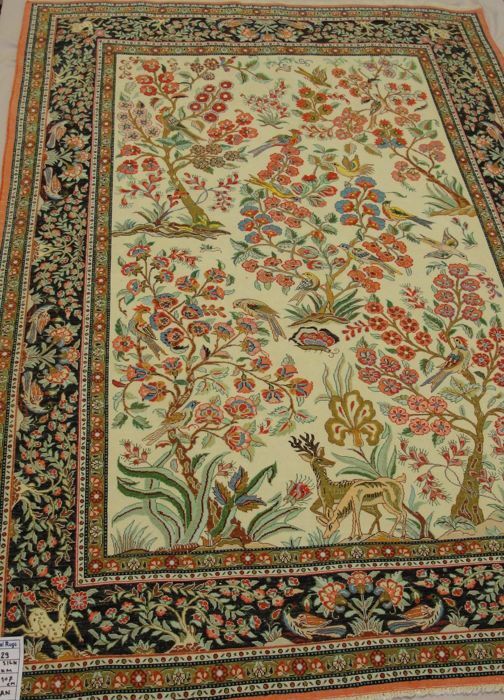 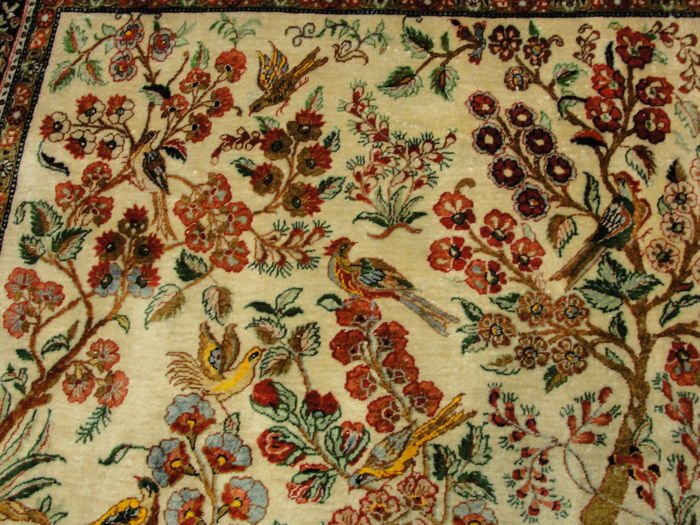 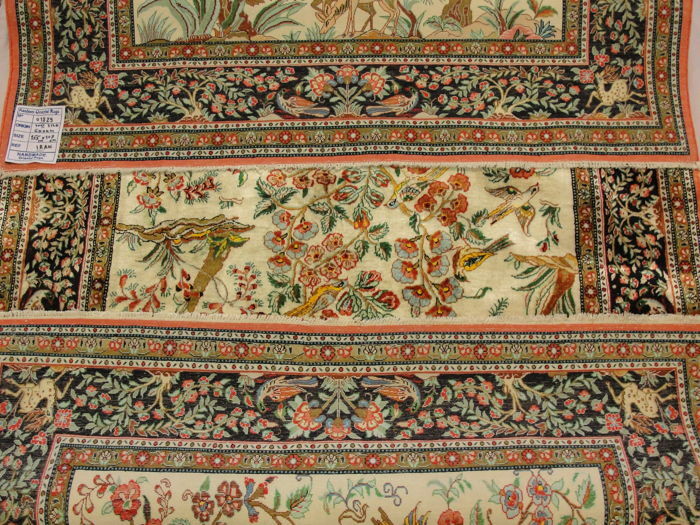 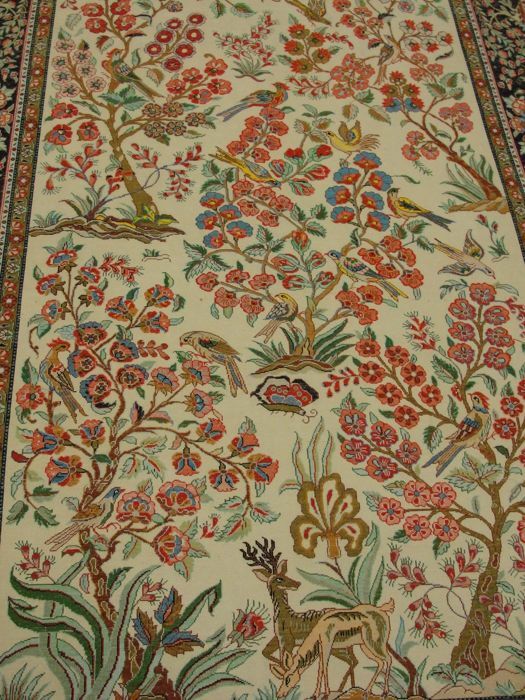 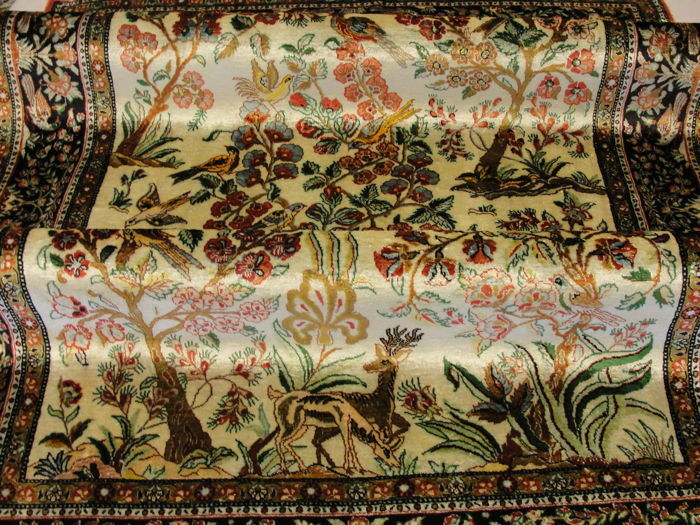 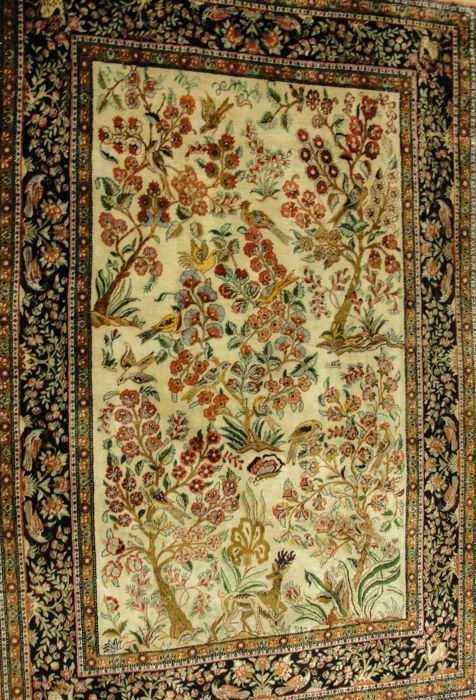 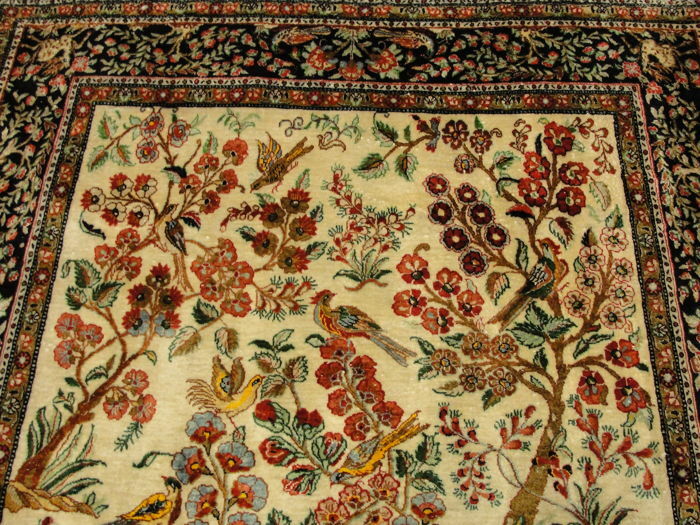 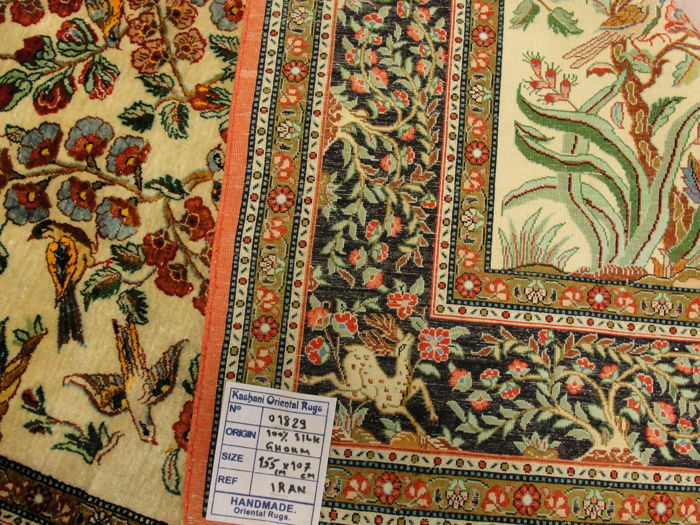 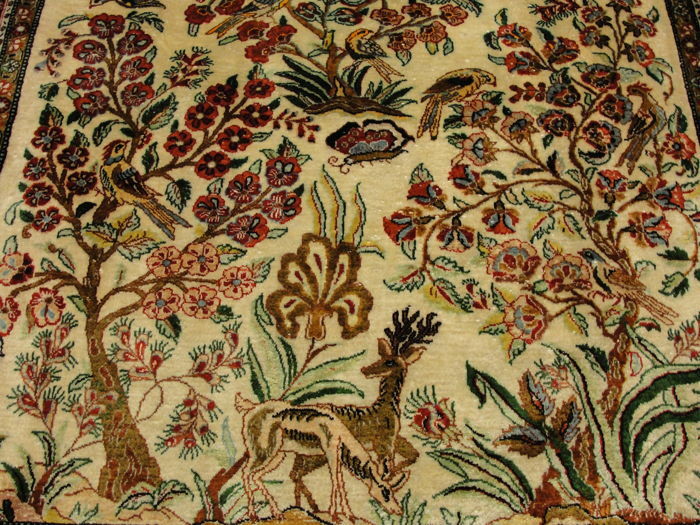 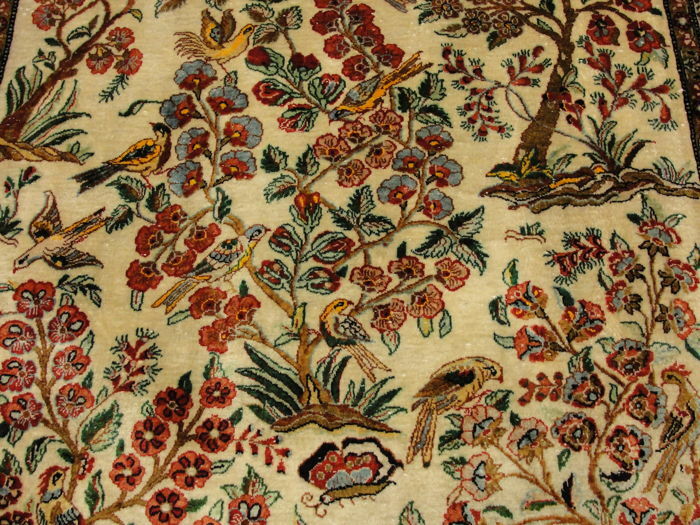 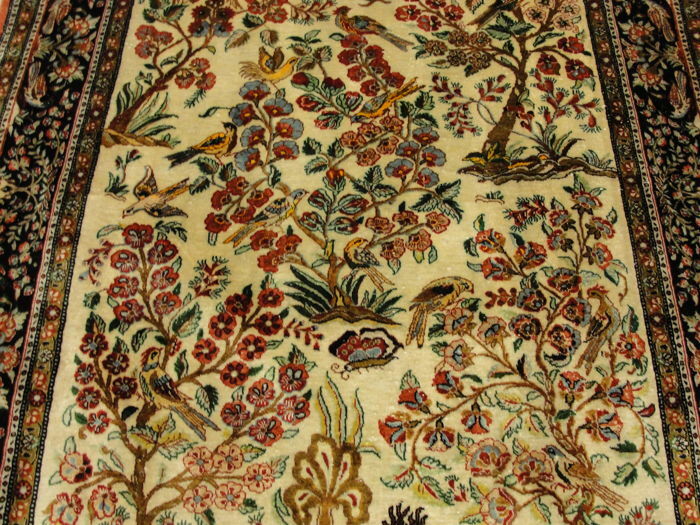 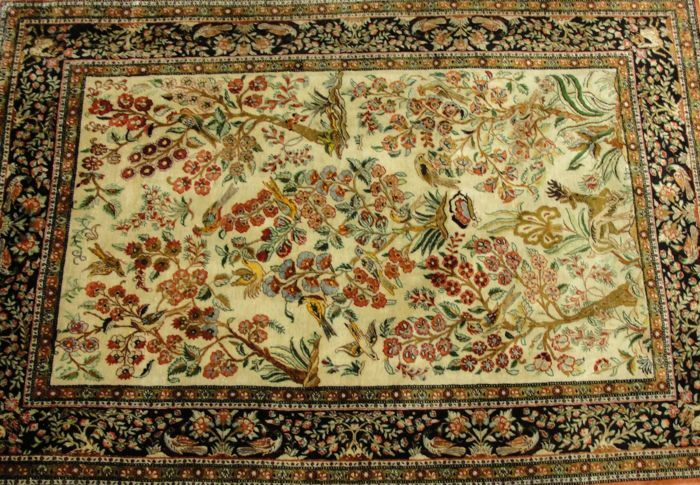 silk rugs, other than being silk on silk, are some of the most elusive rugs to pin to any specific type of Design. 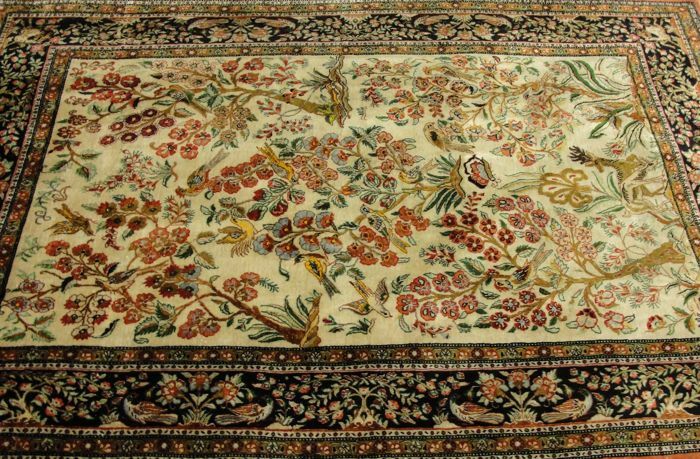 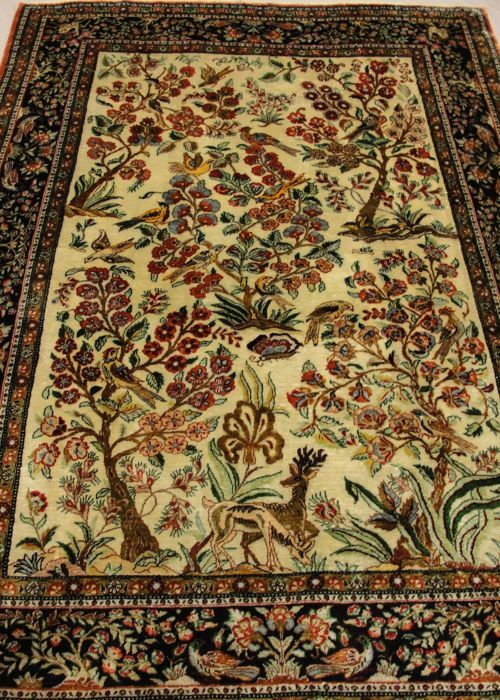 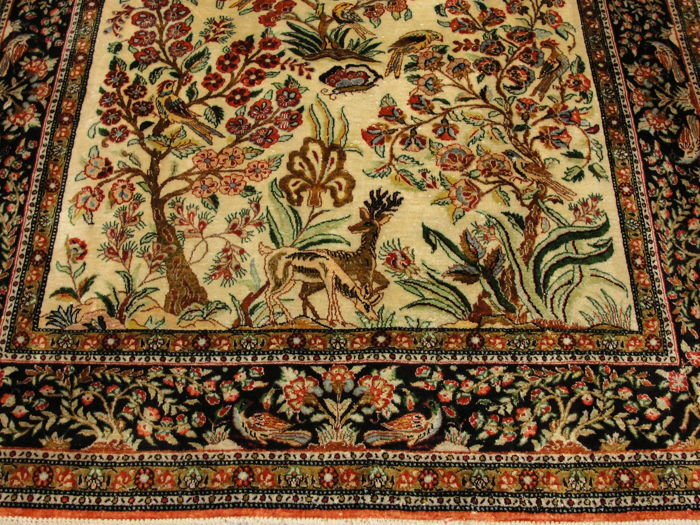 Some of the most distinguishing elements to these rugs are their high investment value, very thin pile height .To handle, high quality Ghom silks are fairly dense considering how thin the construction seems. 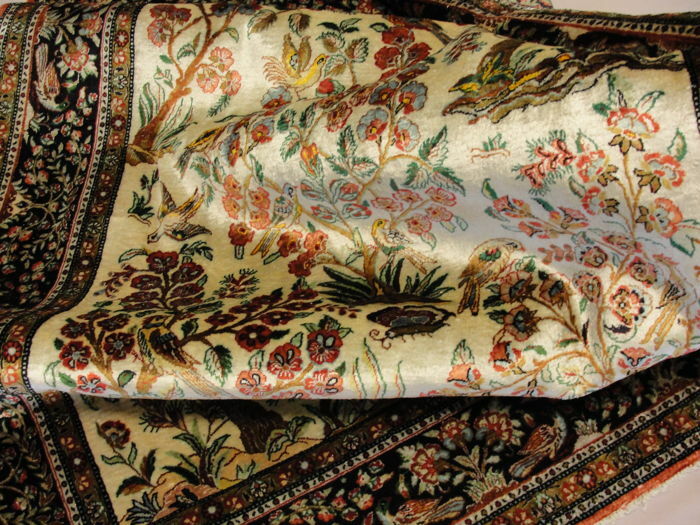 When lifted, Ghom silks will often drape over the hand, and are very malleable, often able to be folded up neatly and compact.